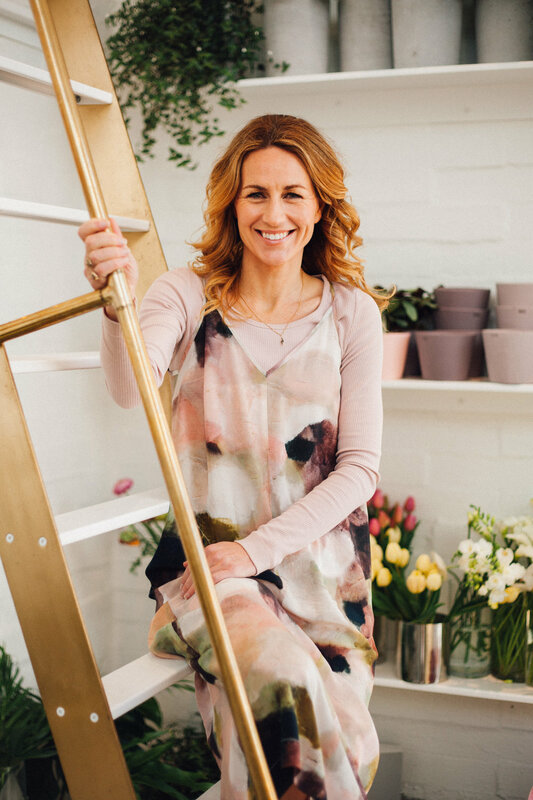 A woman defined by inner and outer strength, Greta Kenyon allows her business mind to push through career challenges and industry pressures- an act freeing her to produce beautiful and celebratory content of love, romance and every women’s wedding dreams. 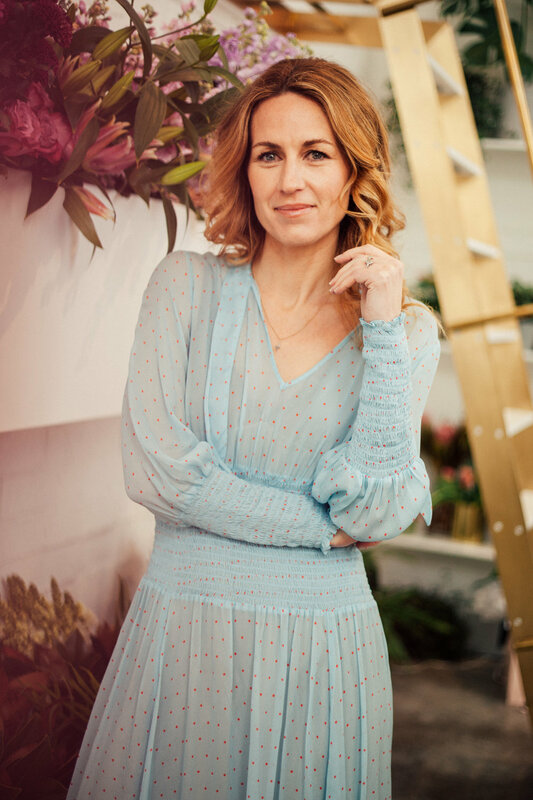 A powerhouse woman dedicated to creativity, business and the therapeutic processes of beauty, the Together Journal editor and mother of three devotes time to her passion of natural scents and fragrances. Scent is the most sensorial way to create a first impression, what is your favourite spot in the house to create a mood? In my office, every morning I love to start the day with music, a pot of tea and a favourite candle. I think it’s important to have a beautiful feminine setting to create within. My personal style is the one area that doesn’t strictly adhere to my love of modernist inspired design. My personal style is more feminine. I love wearing tones and colours and I gravitate to floaty florals and timeless prints and layers. Often my favourite pieces of clothing will have a subtle nod to the 1970’s. I love silk, tan leather, delicate gold jewellery and a touch of sophisticated bohemian style. The first is my Grandfather’s woodwork workshop. The smells of hand crafted wood and wood oils are always so nostalgic for me because of this. My Grandfather used to make furniture, looms and spinning wheels and their home and his workshop always smelled so wonderfully woody. I am often reminded of my grandparents when I smell wood-based colognes, sandalwood or wooden handcrafted furniture. And the smell of the ocean has always been ever present in my life. I grew up mainly around the beach and we still now spend a lot of time in Mount Maunganui, and I love the smell of the sea when we arrive especially at night if there is a sea breeze and the surf is up and, in the summer, you can often catch a touch of night scented jasmine on the breeze too. In the mornings I like to pair my fragrance to my outfit and what I have coming up for the day. I adore fragrances, the stories behind them and the impact they can have on your frame of mind. I look forward to choosing my scent each day and savour it as the final touch. I am a firm believer in fragrance enhancing your mood, so I always try and choose a scent which will suit what I am wearing and what I have on that day. If I am staying in the office I will choose something subtler which makes me feel happy, relaxed and motivated. If I have a meeting I will pick something stronger or if it’s a catch up with girlfriends, it will be something more light-hearted and fun. On fragrance combining, what’s your favourite combination with Honeysuckle & Davana? I have recently been on holiday and I have been pairing it with Wood Sage & Sea Salt which has been a beautiful combination for a sunshiny holiday setting and vibe. I am also very interested to pair it with Oud & Bergamot as recommended by Celine Roux, the woody twist paired with the feminine floral definitely is something I love so I will be trying this too. Happy, light-hearted and feminine. It also makes me think of summertime and the coast, two things I adore. This is a fragrance that I know I will keep reaching for.